Dealer Logix All the Options, All the Time, a photo by totemtoeren on Flickr. Have you noticed that many world class brands now offer consumers with multiple options during the purchasing decision? 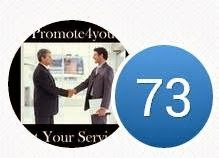 If so, then you have also noticed that doing business like this has become a virtual sales and marketing tsunami. Have you ever wondered why THREE options is optimum? Why not one, two, or four? To understand the power of THREE, , watch the brief video below as renowned behavioral economist Dan Ariely discusses options, choice and consumer behavior. 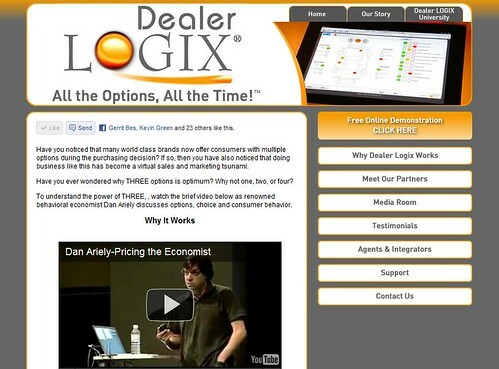 The power of options combined with the freedom of choice are the strategies and concepts at the heart of Dealer LOGIX. If your looking to just put your same old tired paper "service menu" on a PC, then Dealer LOGIX isn't for you; however, if you're looking for a new and innovative process which is proven to enhance the customer experience, customer retention, CSI, and total revenue, then Dealer LOGIX is what you've been looking for. Here at Dealer LOG IX, we live and breath our motto, "All the Options, All the Time", so what are YOUR options? Option A: Do nothing because your service department is doing the best it can. Option B: Click Here and e-mail a request for a demo because you feel there is something here but your not sure you want to change. Option C: Click Here and send a Priority demo request because you understand the power of the concepts and believe Dealer LOGIX can help your business grow.